We are experts in offsite construction. Our unique manufacturing facilities enables us to building multiple modules or section, before delivering them directly to intended site of use. Modular construction units comprises of pre-finished timber frame or steel frame modular systems, which when linked together created finished buildings. These systems can encompass mechanical and electrical services/elemants as well as internal and external finishes applied within our quality controlled environment. Our team of expert designers has solid experience in producing quality solutions for the health, education, leisure and domestic sectors. 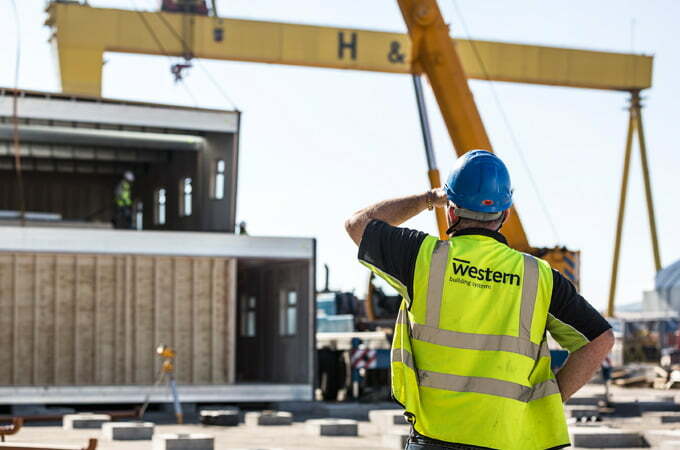 Our streamlined modular process means that 80% of construction is done off-site – drastically reducing build times and the impact on the environment. While sub-structures and site services are being carried out on-site, the super- structure can be progressed simultaneously off-site. Construction can have extensive direct and indirect impacts on the environment. Buildings use resources such as energy, water and raw materials, generate waste (occupant, construction and demolition). Building owners, designers and builders must seel ways to create facilities that are accessible, secure, healthy, and productive while minimizing their impact on the environment. At Western we choose our materials carefully and aim to maximize the life cycle of all our building projects. Our heavily-insulated buildings boast superb u-values, excellent air tightness ratings and we also employ sustainable features in our projects including water harvesting; solar panels and renewable energy systems. Our construction methods allows us to create a work environment with minimal waste and impact to the surrounding environment. All materials aremore efficiently measured, cut and constructed ensuring reduced waste of building materials. Buildings can be constructed at our manufacturing facilities and transported to the project site for completion. This reduces the need for a wide range of machinery and personnel on the construction site. Our building process is less susceptible to weather conditions. When the pre-engineered system buildings arrive on-site, they can be made water tight within 2 days. 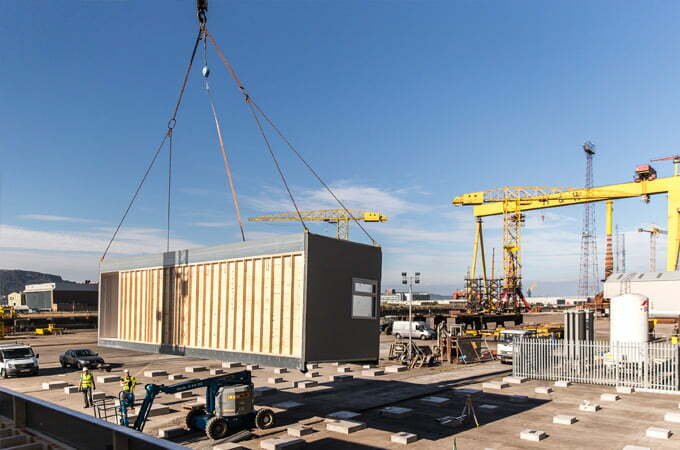 Our modular building system consists of a prefabricated volumetric building substantially manufactured off-site which is of a semi-permanent nature. Benefits are superior thermal insulation, acoustic insulation performance properties, environmental soundness and of course, the speed of build.